Discussion in 'Map Factory' started by Sergis, Feb 21, 2011. 5CP map set in an Egypt night. Agreeing with that... But its hard to get a good look at the map with your shots, can you do an overhead view? Looks awesome, but remember to make sure it's obvious which side you're on... Egypts notorious for players going the wrong way, especially on 5cp maps, because of the lack of the two separate color schemes. 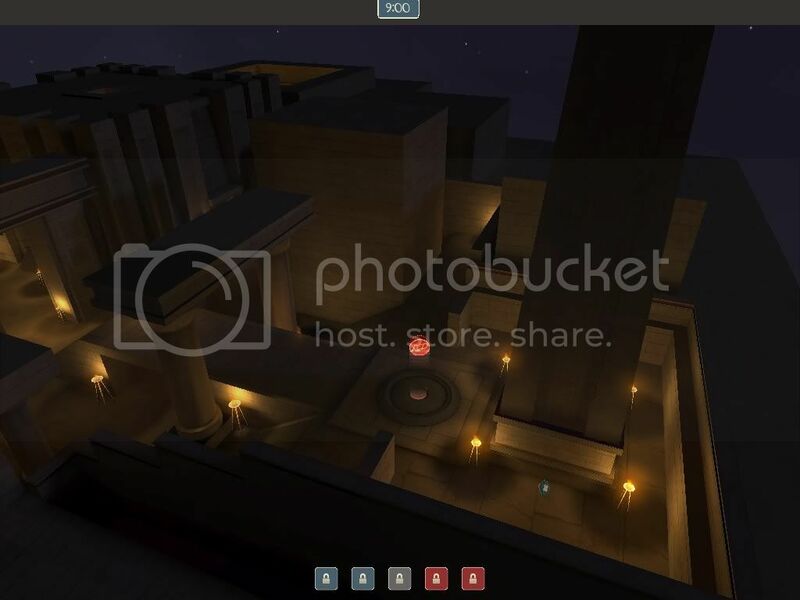 Not be that guy, but cp_legacy might be a better name. It is shorter, easier to remember, and makes more sense. By definition a legacy is anything handed down from the past (objects, lore, and so forth). It is one of those things that can't really be falsified. For example, much of Rome's legacy is debated or outright untrue, but you can't say that Rome's legacy is "false." A chalice might be a fake, but it's legacy will remain untarnished - that is, the fakeness will become a part of its legacy. Use the colored stripe textures. They're... somewhere. EArkham made some cool Egyptian wall textures that also have team colors. 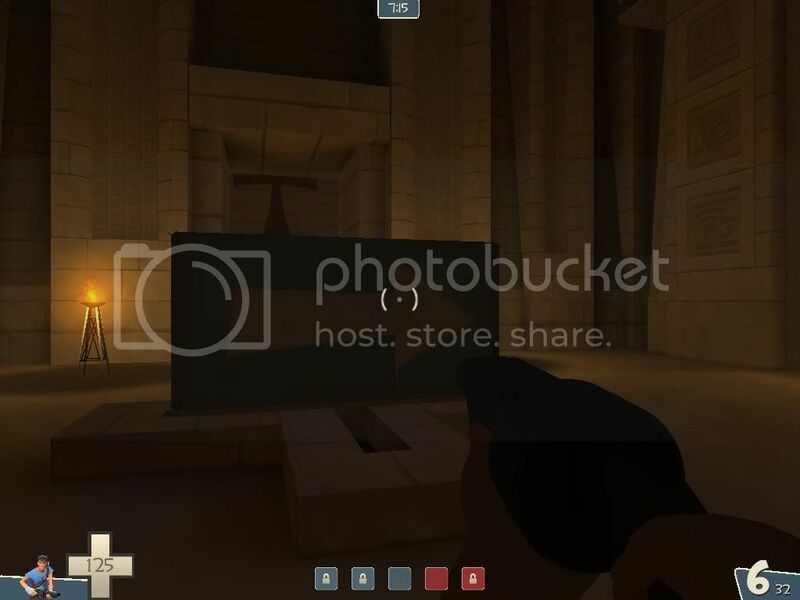 The map has "false" in its name because there's a rocket in the pyramid The whole place is a TF2y disguise for some secret stuff, instead of being an authentic thousands of years old pyramid. I remember seeing a teamcolored egypt texture pack a few months ago. I'm planning to use some of default textures though. Looks mighty spiffy. Haven't seen much in the Egypt theme, but this looks great. Only critique is that I agree with the previous statements... needs colour differentiation. Seems like it would be subject to a lot of confusion. Default textures are fine, just be sure to add a lot of team colors too. Actually, as people have mentioned before, making a sort of "archaeological ruin" thing with the construction theme would likely help. It looks like the second control point is a bit out of the way. As the player run's out of the pyramid, naturally, they'll continue forward towards the final point, even with dynamic signs. As well as that, because of the T nature of it, when all the red's at the point die, the newly re spawned red player's won't be able to get up that side path because blue will also be travelling up it as well. (see diagram, may make sense, may confuse you more, use at own risk). Finally, because it's out of the way, players won't want to travel the extra distance to defend, so there will be less defense. This is only from looking at the pictures though. I'd love to download and have a play but i don't have the time right now. So have a game day first before deciding which way, if at all to change your map in any major fashion. P.S. I also agree with Schwa, the title legacy would be much more appropriate. Remember that most maps are named after what they look like from say, someone who was driving by, instead of the person who actually designed the place. E.g. Dustbowl looks like it's just a bowl of dust, except it's got a rocket in it... gravelpit looks like a pit of gravel, but it's got a laser beam in it. It's not called FalseDustbowl and FalseGravelpit. But that's just very minor, not all that important. Though the better the name, the more likely someone is to play it. It looks like the second control point is a bit out of the way. As the player run's out of the pyramid, naturally, they'll continue forward towards the final point, even with dynamic signs. As well as that, because of the T nature of it, when all the red's at the point die, the newly re spawned red player's won't be able to get up that side path because blue will also be travelling up it as well. (see diagram, may make sense, may confuse you more, use at own risk). This is only from looking at the pictures though. I'd love to download and have a play but i don't have the time right now. So [B]have a game day first[/B] before deciding which way, if at all to change your map in any major fashion. Since there are no gamedays when I'm online, the admins decided to ignore me a little bit when i tried to sneak my map into impromptu and paypal doesnt accept my card number, I decided to change the map to be more like red_flames suggestion without testing. Goddamn internet cut offs deleting my big posts. - Mid needs more flanking routes, it is friendly for heavy classes but weaker flanking classes are fucked. - Besides mid there is way too much height difference for attackers, defending is tedious and hard, backcapping is even worse. - You trust too much sings, spawns face odd directions (First spawn is good example) and easily confuse you. - There is two spawns right above last cp, making it deathtrap for attackers and easy to defend. - The spike room at mid is just confusing and silly, remove it. - There is general lack of health around second cp and area between cp2 and cp1. - You should bullet block the gaps at middle point, losing a control point because your sticky just landed in a hole is terrible. Generally, it feels as if being shrunk a bit in the Y-axis would help a fair bit. heights are too big, ramps are too steep, etc, etc. Also, its never too soon to put team-coloured textures in. Bump for possible impromptu feedback. Even though i had enough players, I felt that player saturation was kinda low. I wonder if cutting spawntimes could fix that. a7 ready. I cut spawntimes and changed the paths a little. Should play better now. It's still yellowish though. I'll get to it later. Taking a look at Lakeside was recommended, but I can't do what Lakeside did, because Lakeside achieves unyellowness by having non-yellow light_environment settings ( and i want to keep this map Egypt night, so that won't work for me) and having a big lake by the map (which in night wont be noticed and would look like Lakeside too much anyway IMO). This map relies on light sources other than light_environment for lighting, and in places where Lakeside does that (indoors), it's all orange. I'm surprised after 2 pages no-one told you it's way too dark. I mean if you cant even see the detail on your own viewmodel or tell what color an arrow sign is, I expect not to be able to tell teams apart until it's too late. 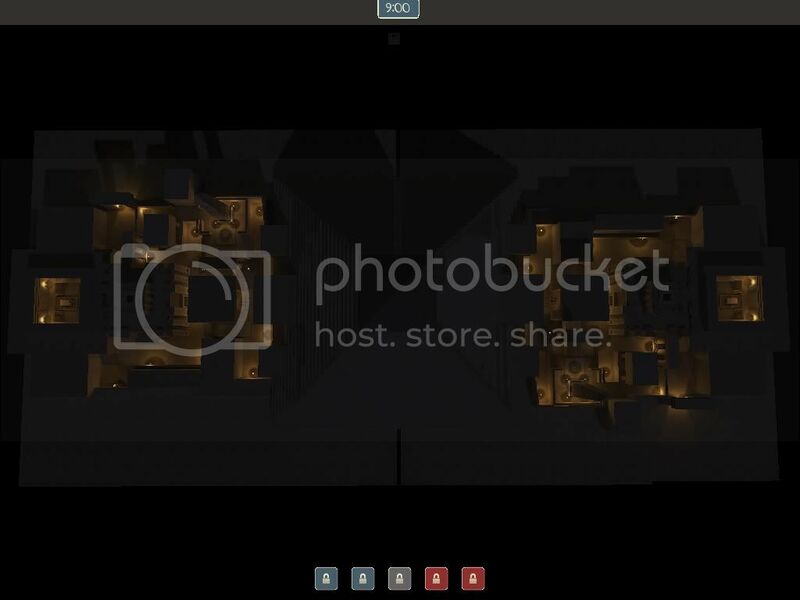 EDITT: okay, ingame looks good, update your screenshots though, they were definitely way too dark.